In our ongoing coverage of things that claim to regulate one's body temperature, I present to you the Nike Aeroloft 800 Vest. It's $US180. 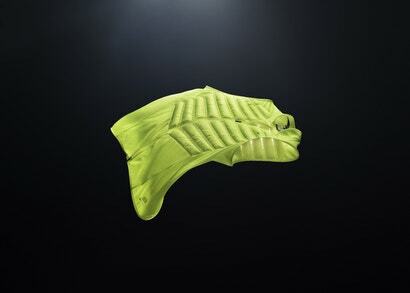 Like the Helly Hansen H2 Flow, Nike's Aeroloft relies on a series of laser-cut holes and strategically placed chambers of down filling that allows for the dissipation of one's body heat while moving. The 800-fill down is said to be "body-mapped to maximise mobility and warmth where needed most." Nike has also employed Dri-FIT panels to wick away excess moisture. Best of all, the Aeroloft can be packed down to fit into your pocket. Nike says the new technology born from the Aeroloft will be rolled out into other products in other sports in the near future.